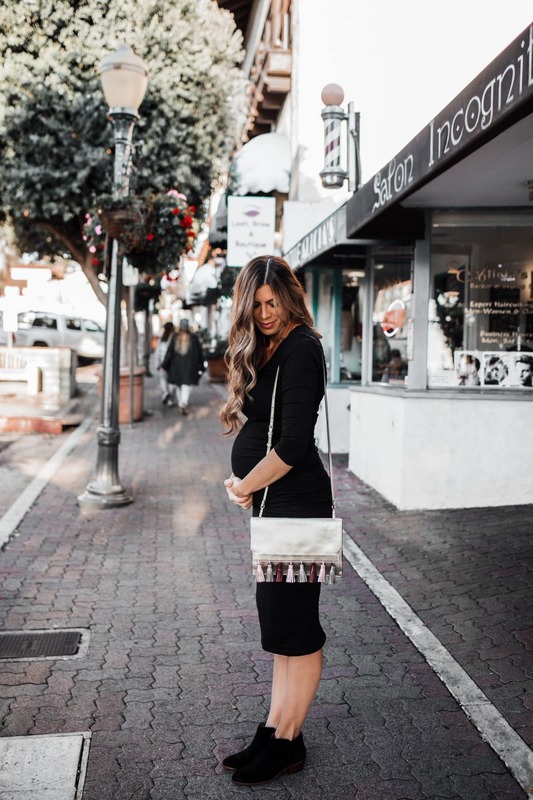 Three fashion staples that have been my faves for three years in a row! 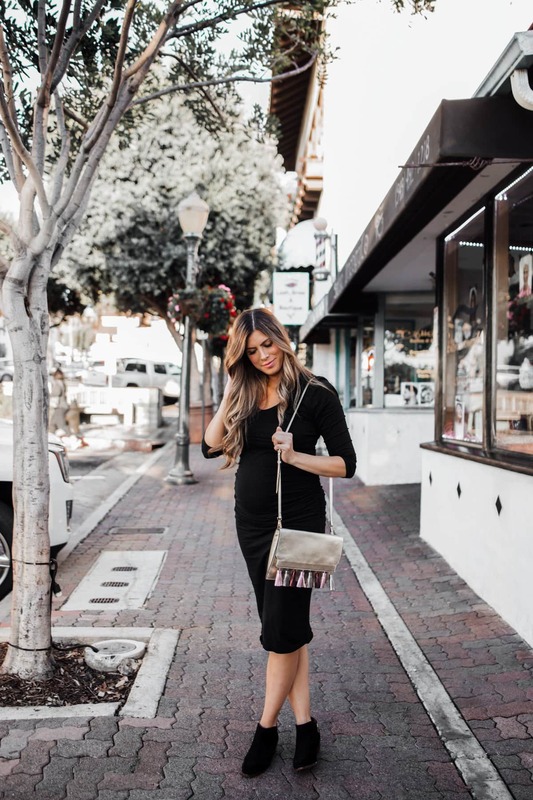 We all know how common it is for fashion trends to come and go, but how amazing is it when you discover a fashion find that's SO GOOD it sticks around for three years in a row?! 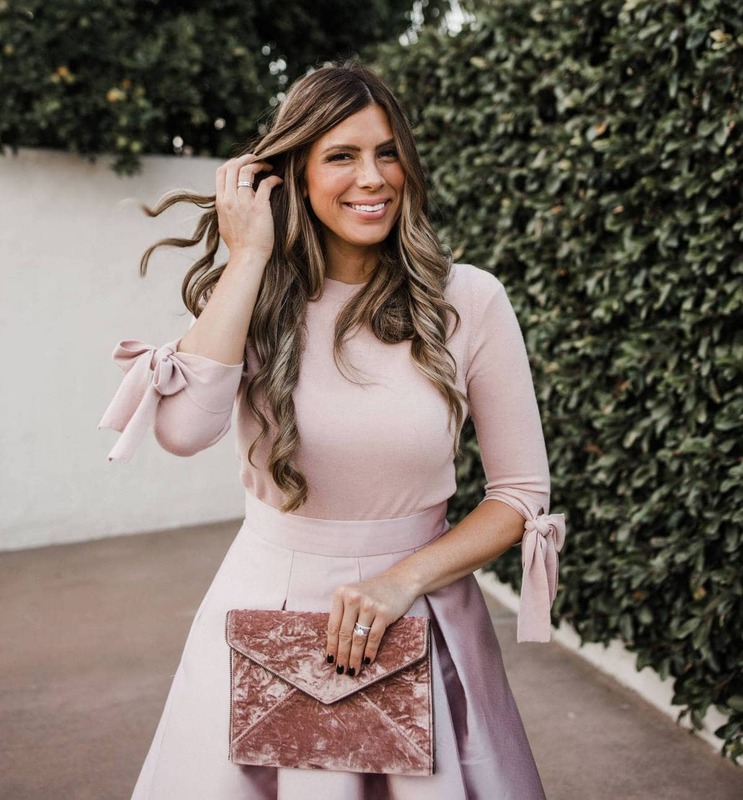 That's what this whole outfit is made up of – three winning fashion finds that have been popular for three years in a row. First of all, this black ruched dress was dubbed one of my favorite pajama dresses (aka, a dress that feels like you're wearing pajamas!) three years ago. I'm still JUST as obsessed with it this year as I was three years ago, and it's held up beautifully after dozens and dozens of washes and wears. I love that I found it on Amazon Fashion, one of my go-tos for finding items head-to-toe in all my favorite brands. 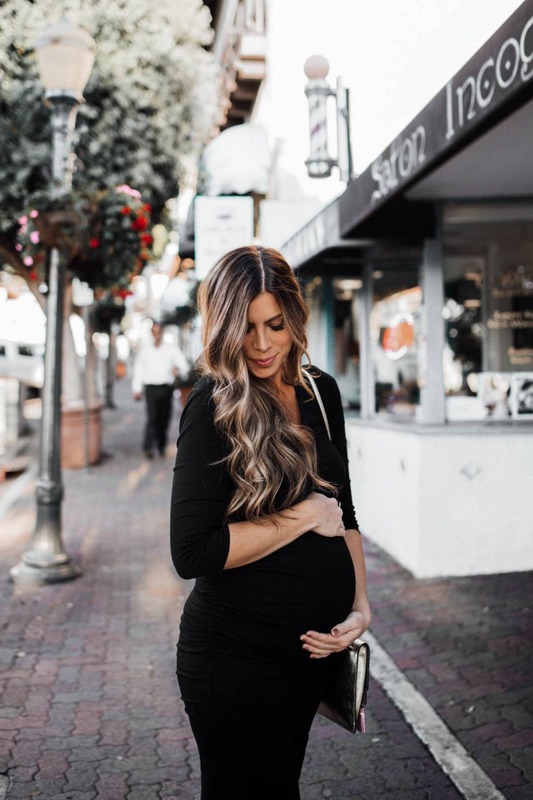 I obviously also LOVE that this dress is ruched at the side so it looks great on all body types, even ones that are sprouting little baby bumps ha! Now for the real star of this show – the clutch! 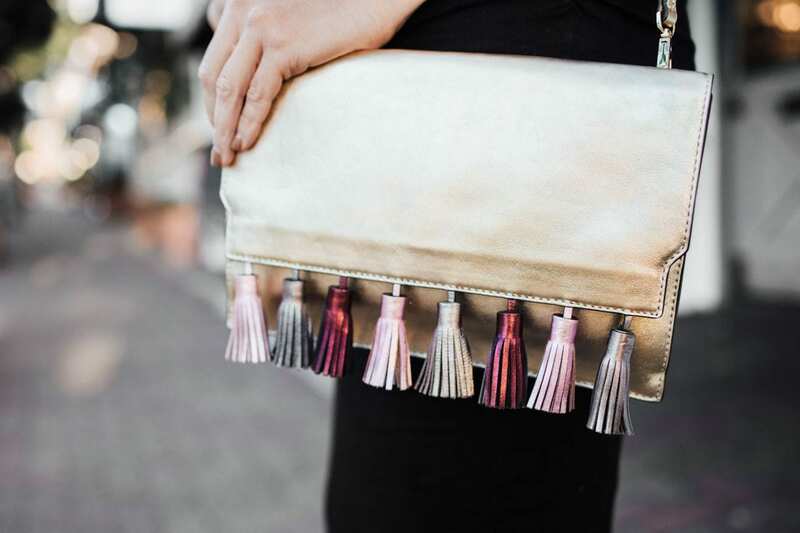 This metallic tassle clutch has been made in a few different color versions but I took an almost identical all-black version of the same clutch to New York Fashion Week three years ago, and I'm so excited that this newer version is going to Fashion Week with me again this year! 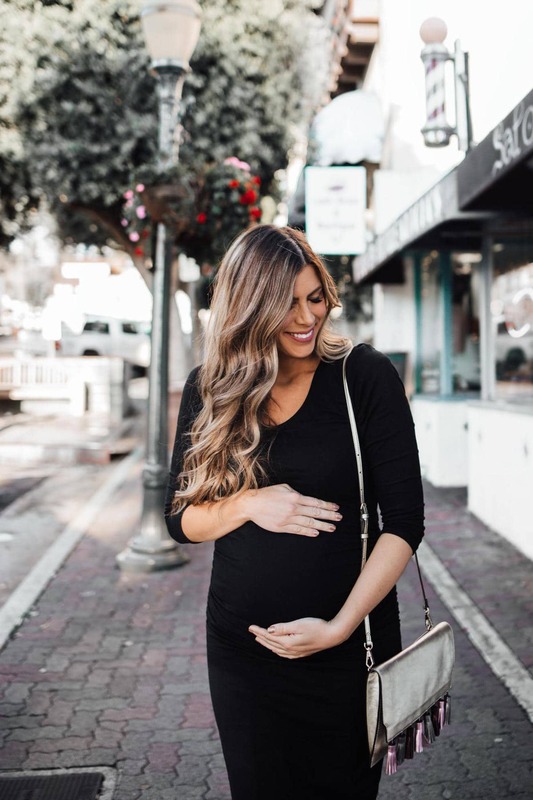 It's pretty, versatile, dressy and the perfect size. I had a sneaking suspicion I could probably find the newest version of it on Amazon Fashion and I was super happy to find it there in four amazing color options! I love that the strap is removable too, so you can wear it as a clutch or cross body. Last of all, let's talk about these top rated booties. 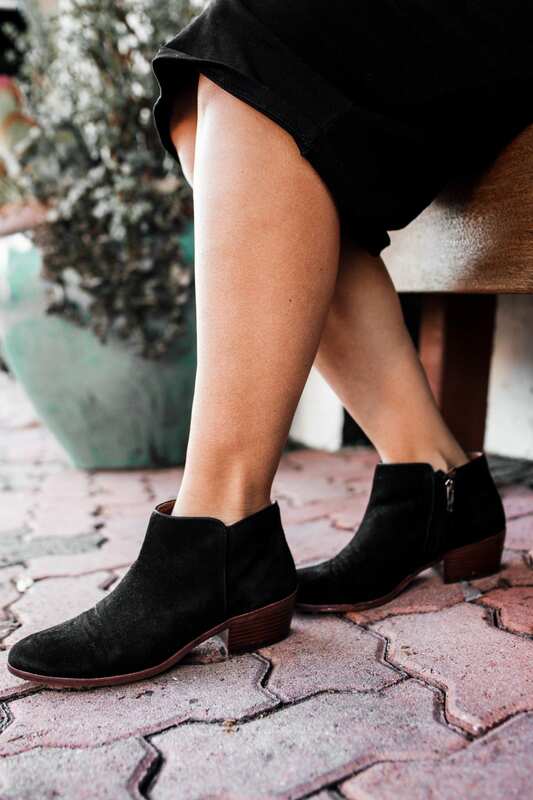 These booties have been on everyone's radar and seen from coast to coast for the last three Fall/Winter seasons! They're so cute, so comfy, and so easy to pair with basically anything. And you can get these cult favorite booties shipped right to your door from Amazon Fashion in TONS of color choices and sizes for under $100. What are your favorite fashion staples that you've loved for years? Let me know in the comments or leave a comment on social media!